Owners of the Core Prime smartphone can now rejoice after we have found the way to root Samsung Galaxy Core Prime Duos handsets. The guide is a little harder than usual where we would normally just flash a rooting tool like the CF-Auto-Root through Odin. This time we are flashing a custom kernel through Odin and then installing the vRoot tool to finish the job. The method is tested and working by people who have trialed the said method over at XDA Developers. You can follow this guide on the SM-G360H/DS and the SM-G360HU variants of the Samsung Galaxy Core Prime smartphones. Do not try using this guide if you have a different model number than the ones mentioned in the guide. You can anytime check the model numbers by heading to the Settings > About Device menu. You should see the model numbers available from the display. Download the Samsung USB Drivers  for mobile phones directly to your Windows PC. You must have a Windows PC to follow this guide. Those of you without a Windows PC cannot use the tools in the guide. Just like with the majority of other rooting guides, you are voiding the warranty by getting root access using this method. Samsung devices that are supported by Knox security have to deal with the added headache of Knox when trying to get a warranty working again. It means that unrooting by flashing a stock firmware through Odin won’t get the job done. There are ways you can uninstall Samsung Kies and then back it up, restore it and get warranties working again. However, to incorporate that into this guide would be too long. If it’s something you wish to consider before starting, you should look further into the Knox security for your device if it’s a supported device. Check that you have the USB Debugging Mode enabled, otherwise you cannot connect the Core Prime to the computer. Once you have done that, you are ready to start! Download the custom kernel for the SM-G360H from this link . Download the Vroot rooting tool from this page . Download Odin 3.10 from this page . Extract the three files to the desktop of the computer. Run the Odin flashing tool for Windows PCs and leave it open. Completely power off the Samsung Galaxy Core Prime. Reboot in download mode . Once you have the Samsung Galaxy Core Prime in the download mode, you can connect it to the Windows computer using the USB cable. Click the AP button in the Odin app on the computer. Browse the desktop and upload the custom kernel. Click the Start button and flash that custom kernel. Run the vRoot tool and follow the on-screen instructions to finish rooting with the vRoot tool. Now you all should have had no worries installing the root-requiring apps from the Google Play Store for the reason that you have now learnt how to root Samsung Galaxy Core Prime Duos. 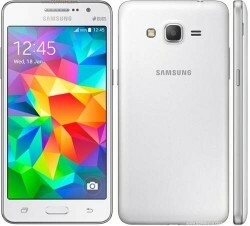 Now you can find out how to install TWRP Recovery on the Samsung Galaxy Core Prime Duos SM-G360H  smartphone using the same Odin flashing tool.